Paris is famously known as the city of light or ‘La Ville-Lumière’ for both reasons, metaphorical and literal. It celebrates a historical legacy of being the birthplace of the age of enlightenment and also happens to be the first European city to use gas street lighting on a grand scale on its boulevards and monuments. Having lived in this city for a considerable amount of time and talking about it endlessly, I feel to have left out its evening beauty has been rather unfair. 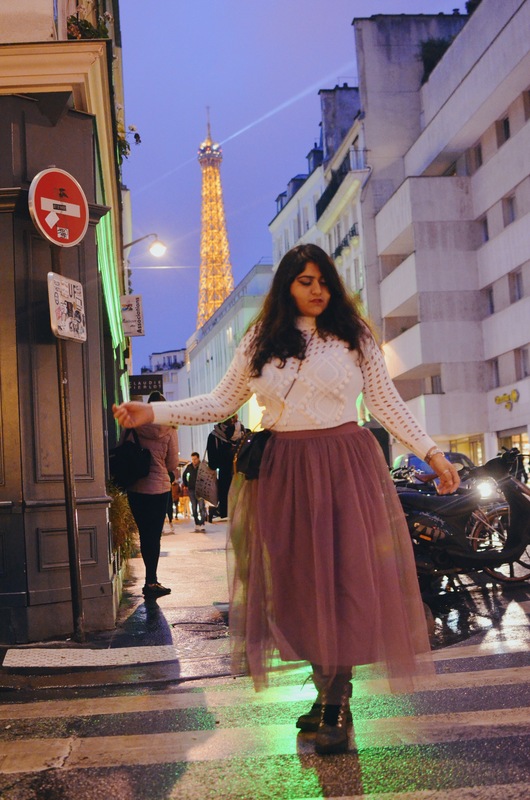 So, here’s a blog dedicated to the very Paris evenings & particularly, the Paris Evening Views. First things first – the weather. While venturing out at nights may be aspirational, it’s not a very practical thing to do in the colder periods between mid-December to mid-February. Moreover, the overall climate in the city throughout the year is mild and moderately wet even if the Summer days are usually warm and pleasant. The Light night frosts are however quite common, but the temperature will dip below −5°C (23°F) for only a few days a year. If visiting during this period, you may also want to be wary of things to do in Paris in the snow. Including hotels, churches, statues, fountains, and national buildings, there are over 296 illuminated sites in Paris. Plus 33 of 37 bridges in Paris light up in the night. The renowned and celebrated, Eiffel Tower shines every night with 40km of illuminated garlands made up of 20,000 light bulbs. There’s a light show that happens every hour (in the dark) that is actually illegal to reproduce as per the laws of the city of Paris since it’s considered a form of art. Much like any other European city, Christmas lightings are extraordinary in Paris. If you’re especially looking for the glitz, you need to take a walk through the Champs-Elysées avenue. It boasts of over 2.4 km of lights from the Place de la Concorde to the Arc de Triomphe, including 450 decorated trees – 330 trees sparkle along the avenue and 120 trees on the pavement. Illuminations at the Grands Magasins – The façade of Galeries Lafayette on the Grands Boulevards is decorated in 2,000m² of light during the festive season, using some 250,000 light bulbs. This is one amazing Paris fact. Public lightings contribute to 113,251 above ground light sources, 14,443 underground light sources, and over 50,000 street lights. So, now that we’ve got so many lights to see and map, how do we go about it all? I’ve divided the places by the area that cover the best of views and offer exciting experiences. In fact, my own pictures are one of these areas. My pictures so majestic because of my fantastic outfit courtesy my partners at Shein. 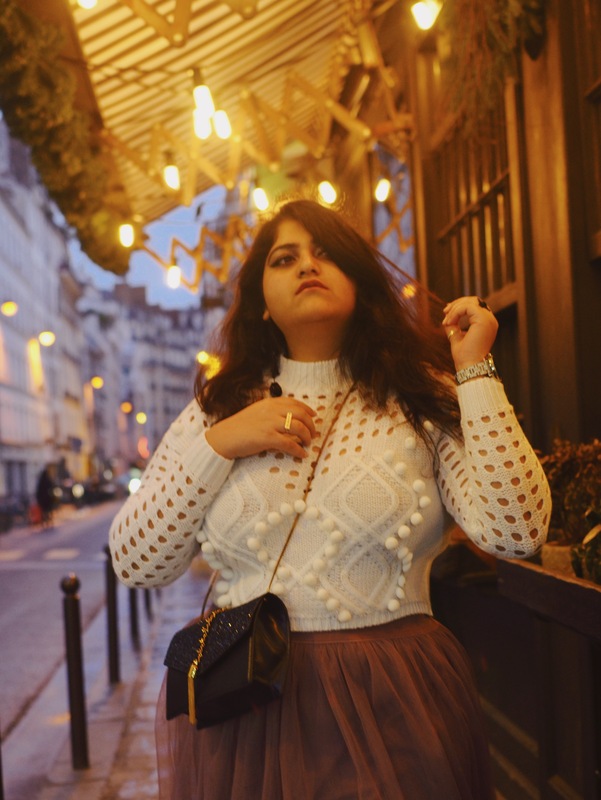 You can buy this very Parisienne Chic White Pom-Pom Jumper from here (shopping in India? click here). They have amazing sales going on right now and also Ship Worldwide. Also use code ‘9Aditi’ for an additional 15% off! A no brainer is scaling the most famous monument of the city and really take in all of the city of lights from its summit. The only flip side, of course, is not being able to see the very Eiffel itself. For which, you can just across to the Trocadero gardens and enjoy a glass of wine or champagne under the twinkling Eiffel lights. If you do want to include the Eiffel Tower in your Paris evening views, climb the Arc de Triomphe. Located near the Charles de Gaulle Etoile station, it’s perfectly situated at the butte of the Champs Elysées and oversees the Eiffel. Plus, Christmas time or not, Champs Elysées is a beautiful place for those evening views, too. Located near the Montparnasse Bienvenüe metro station, this tower faces the Eiffel tower and gives nearly a 360-degree view of the entire city. A rather ugly skyscraper itself, it’ll be one of your best bets for seeing Paris in all its might. If you want to see a dash of what the new, more corporate Paris evening views are like, the Grand Arche at La defense is where you want to be. There’s absolutely nothing more remarkable about Paris than the Montmartre Area. From the Moulin Rouge to the Sacre Coeur Basilica, everything looks even better in the night lights, even the photogenic streets. Plus, you can also see the entire old village, the Eiffel, and beyond, from the Basilica hill or its top, too. Known as one of the Poshest areas of the city, Invalides also packs the best street views of the Eiffel Tower, too. With some of the prettiest Parisienne cafes & markets, this is true to the bone Parisian experiences your evening in Paris should pack. The featured pictures in this article are also from this locale! If you’re looking for the evening views as well as some of the hippest evening scenes in the city, St.Michel area is where you want to be. The area is especially a hit with the university crowds for this reason. Other than that, there’s the beautiful Notre Dame church, the artistic & beautiful cafes, and the riverside that are definitely the best of the Paris evening views. 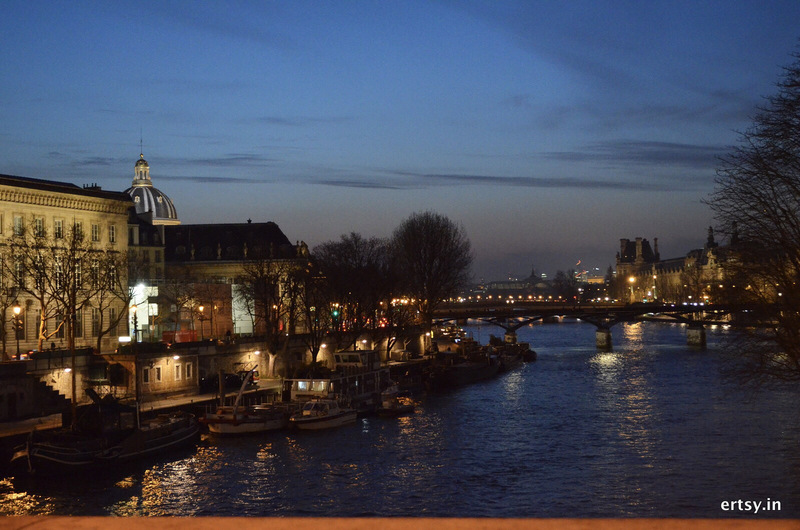 Whether you’re short on time or the will to take a dedicated trip for the Paris evening views, a walk alongside the river Seine is your next best alternative. It’s personal, romantic, beautiful, and overwhelming, all at once. I recommend starting from the Eifel carousel and walking towards Jardin des Tuileries. Alternately, you can also take a Seine river cruise and see all the beautiful marvels of the city along the river! The visit to the iconic Louvre Museum is not reserved for the day time, in fact, the Pyramids and the main entrance looks even more breathtaking at night. I recommend adding this to the end of your Seine walk amidst the beautiful Parisian lights. Similarly, other big museums are worth a visit at night, too. A distant relative of the ‘London Eye’, Paris Eye is a (funsize?) Ferris wheel located at the Place de Concorde. It is perfectly located for an aerial view as well as the ground viewing of the remarkable surroundings. You can buy the tickets for 12 Euros or take a walk to the Hotel de Ville! So, that’s all about Paris evenings and views from me. 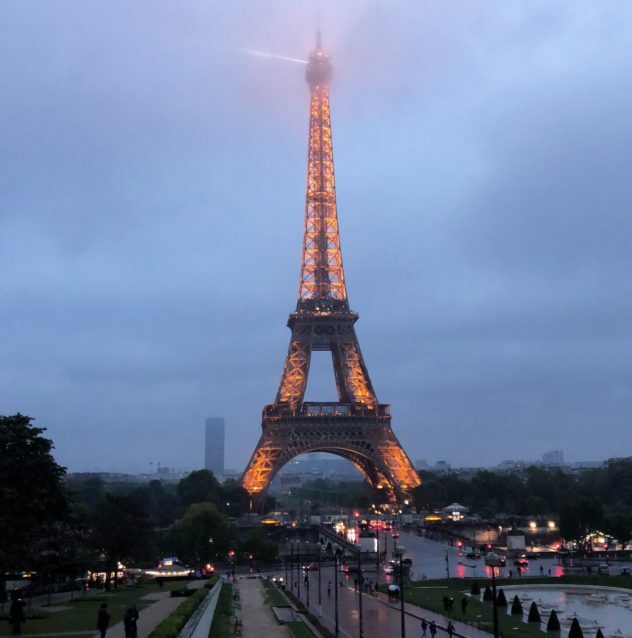 If you’d like to add more to the list of places to see the Paris evening views from, drop ‘em in the comment section below. I would love to hear your thoughts and feedback on the piece, too. 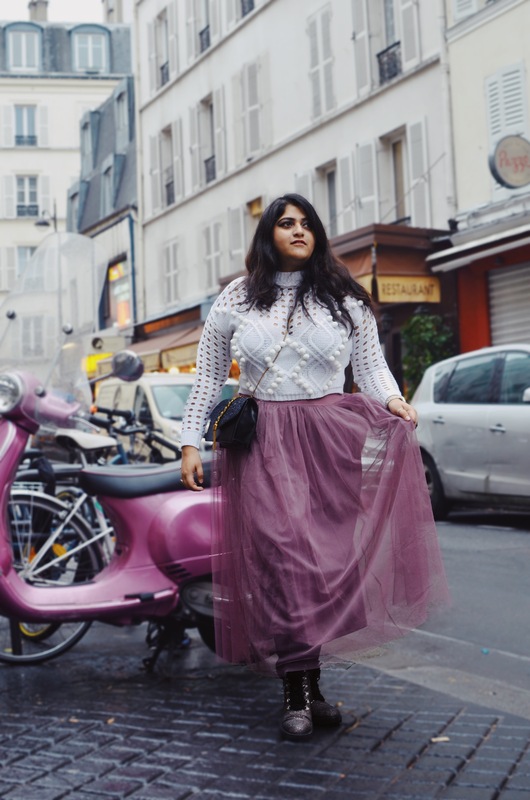 Don’t forget to get my outfit and a lot more from Shein. Also use code ‘9Aditi’ for an additional 15% off!